OneUp Skate Shop is located in the South Side of Pittsburgh at 1923 East Carson Street. While originating in 2003, they have been on the South Side for the past decade and they carry 100 brands and counting on their walls. 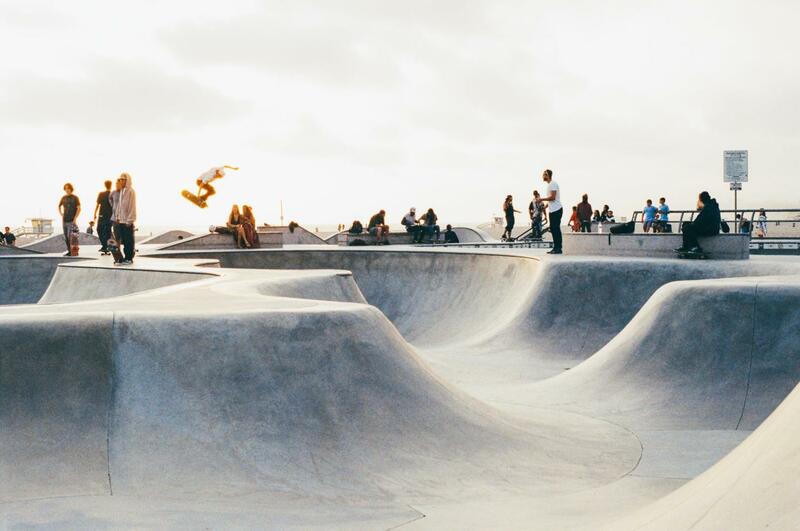 Skateboarding serves as a way of getting physical exercise and a method of transportation. The action sport has benefits that extend far beyond the physical effects it can have on one’s body. With the amount of focus and practice it takes to learn and master tricks, it teaches self-discipline and promotes bettering oneself in a way that you don’t accept being who you were yesterday. “The thing about skating is that it doesn’t matter if you’re good or not, it’s all about progression” said Brandon McConnell, co-owner of OneUp. “Skating teaches you to set a goal and achieve it yourself. Every way you can think of to flip a board, you can do that. And later there’s another trick, and another trick.” He was originally drawn to the sport when he was younger because it was a low-cost activity. He has run a local board company for the past nine years and came on to co-own OneUp two years ago with one of the original owners, Greg Pasquarella. Skateboarding builds a sense of community and promotes a culture of going out, doing things together, and being there for one another. Brandon grew up skating and quickly found his place as he made friends older and younger than him. Often, the older skateboarders became father figures as they skated with younger kids and took care of them. Prices of skateboards can range depending on the person’s preference. The total price including the costs of the board and wheels can be anywhere from $110 to $160+ depending on what type of skateboard you’re into. The best way for someone to get started is to go to a skate shop (no malls) and let the employees set them up with a board. They can help you find a good starting point for every part of the skateboard. Now that social media has become so prevalent as a promotion tool and a method of communication, oftentimes crews of kids will go to skate parks and produce a video together as a new challenge. Whoever the videographer is often learns how to edit the clips together and add music to the final product, and the skaters themselves often push themselves harder when in front of the camera. Brandon and Greg often reposts some of these videos to OneUp’s Instagram feed, and the idea of other people watching them skate excites them. It pushes people to do things together, and working closely together to achieve a common goal promotes team-building and encourages leadership development. These are qualities that are invaluable and can transfer to other opportunities that people may explore outside of the skate world. Brandon spoke about the structure of the city and how people can be physically isolated and separated from each other because of the way the rivers are geographically set. To address this, OneUp hosts all-inclusive events for people of all skill levels, some of which are primarily for the kids while others are more 21-plus but never excluding. The events the shop promotes bring the city together, with unity being their common cause. Some events they’ve done in the past range from Mini Ramp Contests to Hill Bombs to bronze, silver and gold best trick contests.